"Acclaim" recognizes the accomplishments of faculty and staff. Listings may include awards and prizes; election to boards and societies; and similarly notable accomplishments in the wider community. “Acclaim” is published in Emory Report on the first Tuesday of each month. To suggest items for the April 2 column, please email Leslie King by March 15. Michael Cassidy has been inducted into Georgia Trend magazine’s Most Influential Hall of Fame. Cassidy is director of the Emory Biomedical Catalyst, newly created to promote biomedical innovation and enhance the university’s economic engagement in the Atlanta region and beyond. He was formerly president and CEO of the Georgia Research Alliance. James W. Curran received a lifetime achievement award for his work in HIV/AIDS from the Fulton County Board of Health during a #StopHIVATL World AIDS Day breakfast. Curran is dean of the Rollins School of Public Health and professor of epidemiology. He co-directs the Emory Center of AIDS research and holds joint appointments at the School of Medicine and the Nell Hodgson Woodruff School of Nursing. 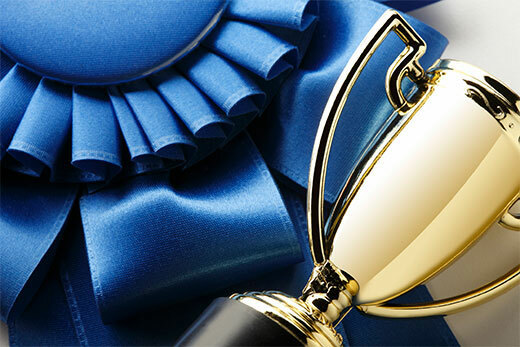 The award was given by the American Chemical Society for 2019 to recognize outstanding and creative research involved in the discovery and development of novel and useful methods for chemical synthesis. Davies is Asa Griggs Candler Professor of Chemistry and director of the National Science Foundation Center for Selective C–H Functionalization. Award winners will be recognized at a ceremony in conjunction with the 257th ACS National Meeting on April 2 in Orlando, Florida. Jamie Harrell MBA16 was honored at the Atlanta Business Chronicle’s Diversity and Inclusion Awards in the category of Outstanding Voice. Harrell, the first openly transgender graduate of the Emory Goizueta MBA program, is business intelligence / application development leader in Goizueta Technology Services of Goizueta Business School. Alethea Watts, senior manager of Clinical Services & Operations for General Surgery & Palliative Care at Emory Clinic. Philip L. Reynolds has been chosen to receive the 2019 Haskins Medal of the Medieval Academy of America. The award, for a distinguished book in the field of medieval studies, is for Reynolds’ 2016 book, “How Marriage Became One of the Sacraments: The Sacramental Theology of Marriage from its Medieval Origins to the Council of Trent” published by Cambridge University Press. Reynolds is Charles Howard Candler Professor of Medieval Christianity and Aquinas Professor of Historical Theology in the Candler School of Theology. Paul Root Wolpe has become president of the National Association of Bioethics Program Directors (ABPD) for a two-year term. The association promotes bioethics professionally, creating standards for tenure and promotion; promotes federal and foundation grantmaking; and develops executive skills in running bioethics programs and centers. Wolpe is Raymond F. Schinazi Distinguished Research Chair in Jewish Bioethics director of the Center for Ethics.